Passionate and motivated with experience in customer service and cashier training. 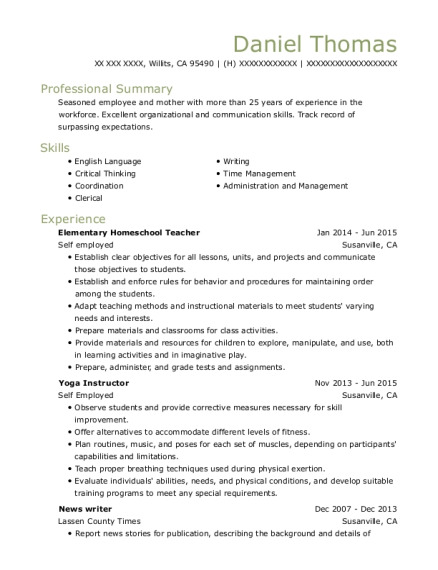 Excellent written and oral communication as well as time management skills. With lifeguard experience and first aid certification, can handle tasks efficiently and accurately in a calm, collected manner. Gather information about events or other topics through research, interviews, experience, or attendance at political, news, sports, artistic, social, or other functions. Examine injured persons and administer first aid, if necessary, using training and medical supplies and equipment. 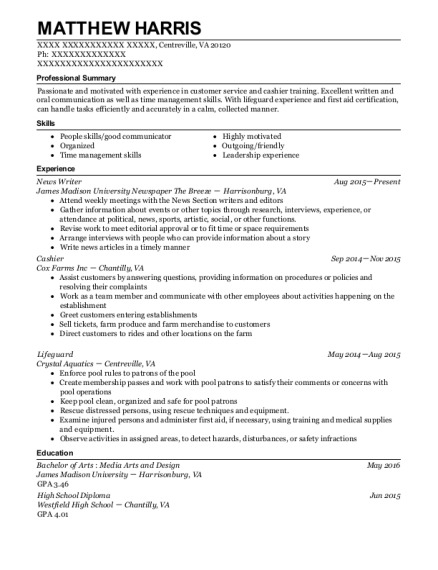 This is a resume for a News Writer in Centreville, Virginia with experience working for such companies as James Madison University Newspaper The Breeze and Cox Farms Inc. 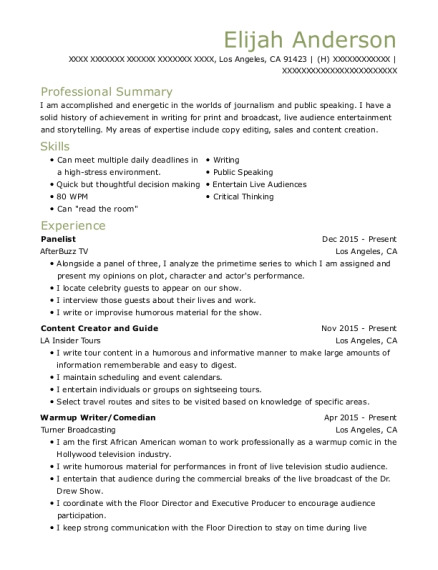 The grade for this resume is 0 and is one of hundreds of News Writer resumes available on our site for free. 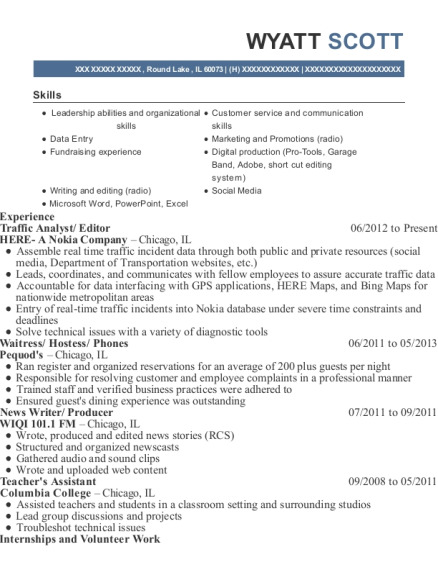 Use these resumes as templates to get help creating the best News Writer resume.